Stay healthy during the cooler months with these fresh foods—available from most markets through fall and winter. We typically think of farmers markets in the summer when we’re obsessing over watermelon, ice-cold lemonade and early morning runs to beat the heat. As the days start to get shorter and the weather turns cooler and grayer, many of us stop frequenting the farmers markets and forget that there are plenty of produce options growing in the cooler months as well. 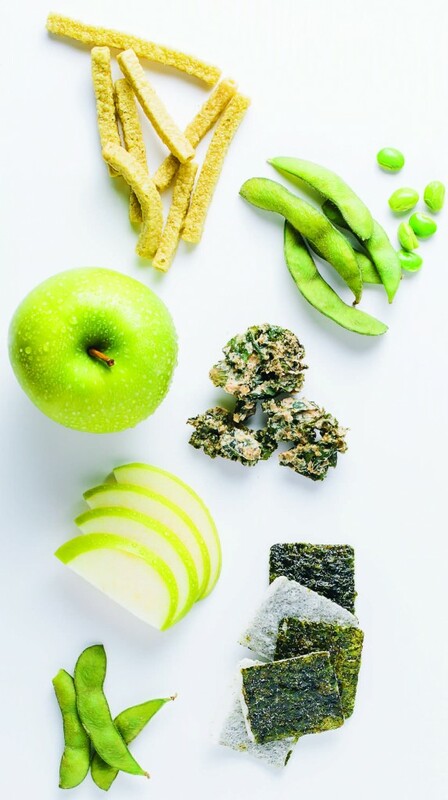 As runners, we want to include varied sources of fruits and vegetables in our diets to help provide all of the vitamins, minerals and electrolytes necessary for our working muscles. Food can be medicine for our working muscles, playing a role in muscle building and recovery, decreasing inflammation and helping improve immunity. Many winter produce items are high in complex carbohydrates and fiber (important for energy and satiety, respectively), as well as in vitamins A and C (antioxidants that can help with immunity and recovery). To get the most nutrition bang for your buck this autumn and winter, focus on these antioxidant-heavy produce options to help fight the winter blues and improve recovery after those cooler runs. Sweet Potatoes are an excellent source of vitamin A and vitamin C, with one medium sweet potato providing 120 percent and 30 percent respectively of the recommended daily values. 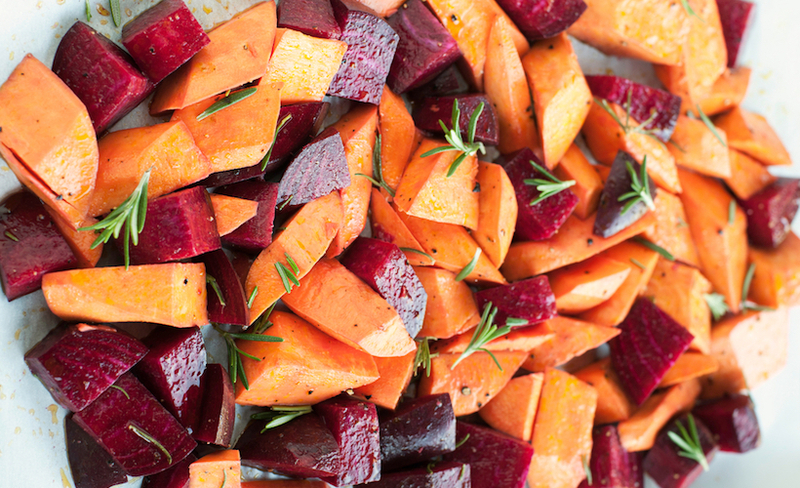 They are a sweeter alternative to the regular brown potato, and their bright color gives them an extra antioxidant boost. Sweet potatoes offer adequate potassium, magnesium and manganese, electrolytes that are often lost through sweat and exercise. These electrolytes help with muscle contraction, maintaining a normal blood pressure and blood sugar, and regulating fluid and mineral balance in cells, all of which are important for long endurance exercise. Roast them as fries, cube them and add them to your chili or stir fry, mash them up and throw them in burgers—the opportunities are endless for this root vegetable. Pomegranates are a great source of vitamin C, vitamin K, potassium and fiber. They also boast several antioxidant and bioactive plant compounds that are great for our health. Some research has shown that pomegranates may help reduce inflammation in different areas, including the gastrointestinal tract, and may also help with joint pain. While it can take a bit of labor to get those sweet, tart, juicy seeds out, they make great additions to salads, desserts and savory dishes. They can also be a tasty snack on their own, either pre- or post-run. Adding some tart and tangy citrus to your winter dishes can not only brighten them up, but also add some extra vitamin C to your diet to boost immunity. If you usually stick to just navel oranges, branch out and try the deep-hued blood orange or cara cara orange, which tastes like a mix between an orange and a grapefruit. 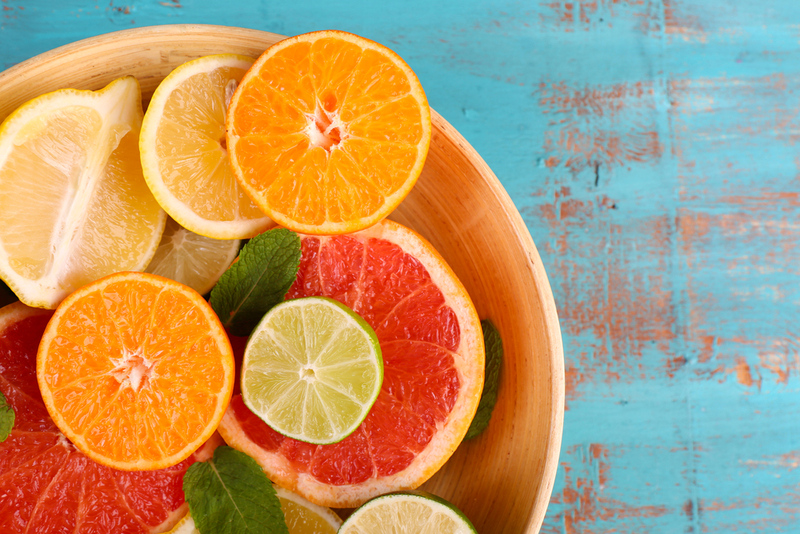 Citrus fruits are about 88 percent water, making them a great way to boost hydration. Citrus works great as a salad addition or as a fruity pre- or post-run snack. There are an array of beautiful choices that fall under the winter squash category, including butternut squash, spaghetti squash, acorn squash and more. Squash are known for their yellow and orange flesh and sweet, starchy consistency. They are packed with complex carbohydrates, fiber, vitamin A, vitamin C and vitamin B6, helping the body produce energy and simultaneously reduce inflammation. Winter squash also provide modest amounts of a handful of micronutrients, including copper, manganese, potassium, folate and magnesium, to keep your body functioning optimally. They taste great roasted on their own or diced, cubed and added to pasta, soups, chilis and salads. Beets, or beetroots, are known for their earthiness, but the stunning fuchsia-hued root vegetable is a great source of vitamins, minerals and plant compounds. Beets are also a valuable source of folate to help with energy production, as well as potassium and magnesium, among other electrolytes. If you want to skip the mess of peeling beetroots, consider buying them canned or in juice form. Beets and beet juice are powerful sources of inorganic nitrates, which may help lower blood pressure, fight inflammation and enhance oxygen flow and use—sometimes by as much as 20 percent. There is also a great deal of research linking the nitrates in beets to enhanced athletic performance and longer time-to-exhaustion while exercising. Throw beets into a food processor with some tahini, garlic, lemon juice, salt and pepper to make beet hummus. You can also toss them in olive oil and spices and roast for 15 to 20 minutes at 425 degrees Fahrenheit. Throw them over salads or mix them in with grains to help reduce post-exercise inflammation. Sarah Schlichter is a registered dietitian and marathon runner based in Charlotte, N.C. She works as a nutrition consultant and in private practice, where she writes the blog, Bucket List Tummy, sharing nutrition posts, healthy recipes, running tips and everything on her bucket list.